How Much Does a Wine's Vintage Matter? In the last few weeks, I have been asked whether the vintage of a wine truly matters. My initial reaction was “of course”. 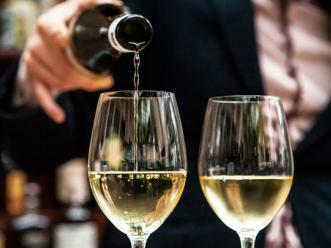 Then, I started to question whether it was true or whether it was just a knee-jerk reaction based on historical precedent or even worse – wine snobbery. We can all envision the wine snob sitting down in a restaurant and refusing a bottle of wine because it’s the wrong vintage. Yikes. I have done that myself. Was I being a wine snob? Was I just trying to impress my dinner companions? Or, does vintage matter? Nothing like a bit of self-reflection when ordering a bottle of wine. Oh well, at least it’s cheaper than a therapist. It may help first to understand why vintages are different. The same wine from the same vineyard may taste different from year to year. The obvious answer is that the weather is different. There are, however, many reasons for this to occur. It is possible that the vines themselves were diseased or too old to be considered productive and were ripped out for replanting. It is possible that the winemaker had changed his or her methods such as using more new oak or blending different grapes. Or, the winery may have made the vinous equivalent of a one hit wonder, that is, a wine far and above the usual quality for this winery. This actually happens at all price ranges and the savvy consumer should be on the lookout. For example, the 1990 Beausejour Duffau is a phenomenal wine. By far and away, the best this winery has ever produced. If I ordered this at the restaurant, and they brought the 1989 (a very good vintage), it would not be the same and should cost at most, half as much as the 1990. If they brought the 1991, I would not order it. When we talk about vintages, however, most times we are talking about an entire geographic area. The primary culprit is the weather. I am not sure if there is such a thing as a perfect winegrowing season. Perhaps, an uneventful season that starts on time and goes deep into the fall would be it. Weather, of course, doesn’t work that way. Often times weather disasters counter intuitively result in better wines. Frost in the spring may kill some of the grapes as they are just getting started. While that will mean smaller yields, the resulting wines may be more concentrated. Strong winds may harm the flowers at pollination. This condition is caller Shatter resulting in fewer grapes. 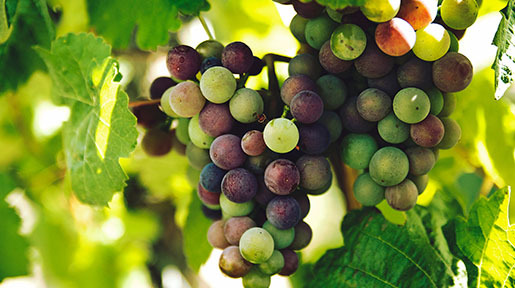 Conversely, too much (hot) sun may cause the grapes to either raisin, which makes a wine that is (too) high in alcohol and tastes of stewed fruit, or just shut down completely resulting in under ripe grapes. Historically, bad vintages spelled disaster for wine. Today, we understand winemaking a bit more and can compensate to some extent for the vagaries from vintage to vintage. The typical causes of a bad vintage are a cool growing season in which the grapes cannot get ripe enough or too much rain and the grape juice gets diluted and the vineyards fill with mold and rot. Unless there is some event occurring right at harvest, it is likely that there will be no bad vintages. Some of those harvest events could include hail, such as happened in the Piemonte in Italy in 2002. The grapes were literally knocked off the vines before they could be harvested while others were split open and rot set it. Severe rain can also be an issue. In the southern Rhone Valley in 2002, there were such heavy rains right at harvest that the grapes swelled with water. That alone would dilute the quality of the wines. If they swell too much though, the skins split and again rot can set in. In northern California in 2009, record rains occurred during harvest. Some wineries had already harvested and did not suffer. Other wineries were able to postpone harvest until after the rains and the vines were able to process the water without damage to the grapes. For some, however, the results were watered down grapes and occasionally rot. As was stated earlier, these harvest time weather events are the exception and not the rule. So, the question still stands. Does vintage matter? It really does depend on the context in which one is drinking the wines. Here’s an example: You are in a restaurant and perusing the wine list. Your decision will be easier if you know something about the vintage. Let’s say you are a Pinot Noir lover and want a very nice red Burgundy wine. Perhaps the menu lists a Clos des Lambrays Grand Cru. This is a very nice top quality wine which will cost over $100 a bottle. Suppose further that the list includes a vertical of this wine from 2001 thru 2007. The prices will probably not be the same for every year. The 2005 will likely be the most expensive. Will it, however, provide the best drinking? One option might be to consult the Wine Vintage Charts found at Intowine.com. The Burgundy chart, for example, tells you that 2005 followed closely by 2002 produced the best wines. What the chart does not tell you is anything about the specific wine you are considering. Still, it does give a good guide. But wait. It also tells you that the 2002 is at the “drink or hold” point while the 2005 is “hold.” What that means is that these vintages are top notch vintages that a collector should think about buying and cellaring for a long time. That is certainly true about 2005, but what about 2002? As a general rule, the better wines will take longer to reach maturity. In this example, we are talking about a Grand Cru level Burgundy. So, even though 2002 is “drink or hold”, the better ones will probably need more time. That eliminates 2002 and 2005, leaving the remaining vintages to consider. If you remember 2003 was a very hot year and many people died from heat all over Europe that summer, you might consider that the wines suffered from that heat. In 2004, Burgundy experienced a lady bug infestation that seems to have left a vegetative quality to many of the wines. While the casual patron may not know that, a look at the vintage chart may offer up some caution. Which leaves you with 2006 or 2001. Both are in “drink or hold” status, but again, a top Grand Cru wine needs more time. My suggestion, is to go with the 2001 as it has a decade in the bottle to mature and will most likely be drinking better than the other wines on the list. Interestingly, there is a good chance it will also be the least expensive vintage due to the rise in wine prices over the last decade. Of course, the analysis would be different if you were buying a wine to cellar and be enjoyed in 15 years. This analysis is different for other parts of the world. In some sense, vintage matters less in wines from Napa, where the weather is more consistent. 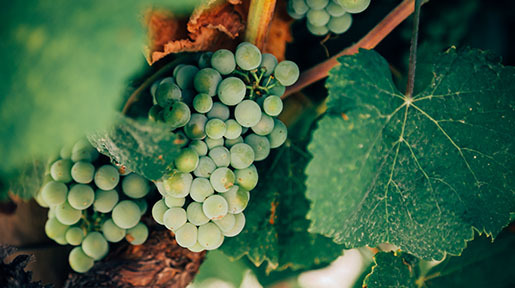 Napa wines reach maturity more quickly as a general rule. Nonetheless, vintage still matters. Let’s take an example of the Robert Mondavi Reserve. This is one of the stalwart wines of the Napa Valley. It is expensive and will be well over $100 on a restaurant list. Suppose a very nice steak house offers you a choice of all of these wines going back to the 2000 vintage. One could peruse a vintage chart such as California Cabernet Sauvignon Vintage Chart. That might tell you that 2007, 2001 and 2002 give you the highest rated vintages, all of which are “drink or hold.” Remembering that the better wines take a bit longer to mature, perhaps the 2001 or the 2002, might be the best drinking wines. Then look at pricing. It is possible that the 2005, which is just a bit less highly rated, will be less expensive. If so, it is now 7 years from vintage and likely to be drinking well. That might be a good choice. If however, all wines are priced the same (something more common in Napa wines than in European wines), then the 2001 might be an interesting choice. Does vintage also affect wines at the lower end of the price spectrum? In my opinion, yes, to some extent. 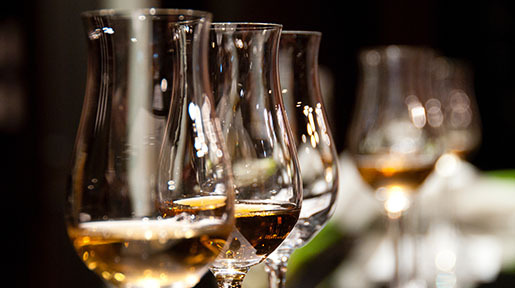 Many of the wines made in industrial quantities are highly manipulated and very consistent from vintage to vintage. Indeed, that is one of their marketing strengths. Consumers know what they are getting and rarely even notice the vintage. Winemakers can add sugar to salvage under ripe years or water to dilute the over ripe ones. But, there are reasonably priced wines in which vintage matters. Let’s suppose that you want to order a nice, but inexpensive Chianti at your neighborhood Italian restaurant. A quick look at the Chianti, Tuscany, Italy Vintage Wine Chart reveals that almost every vintage in the last 15 years has been excellent or better except for 2002. Does vintage matter? Well, certainly it does if they are serving the 2002. In that case I would choose a different bottle. But, what if they had a 2004, 2006 and 2008 as your choices. Vintage might not matter as much, but still, it helps knowing they were all good years. Further knowing that perhaps 2004 is the best of all of them, I would be inclined to go for the 2004. Without knowing about the vintage, I might be concerned that it was too old. As it turns out, the 2004s are still youthful and drinking quite well as a general rule. These are examples as to why I believe vintage does matter. In addition, the context of how you are planning on consuming the wine is important. Is it for tonight’s dinner or to the cellar for a rest? Vintage matters when you don’t know the specific wine. If you know a winery made a great wine in an off vintage, then of course, that over rides vintage concerns. Moreover, if I had to choose between a great producer in an off vintage, versus a poor producer in a great vintage, I would choose producer every time. Things are rarely so clear cut. Knowing a bit about vintages is just one more arrow in your quiver in an attempt to choose the best wine possible.